Horn is from Chapleau, Ontario, and at the age of five was sent to St. Johns Indian Residential School. She was then transferred to the Shingwauk Indian Residential School at the age of seven, where she remained for six years. In 1981, she helped found the Children of Shingwauk Alumni Association (CSAA), a constructive organization that has been a leader at the national level on the residential school issue. 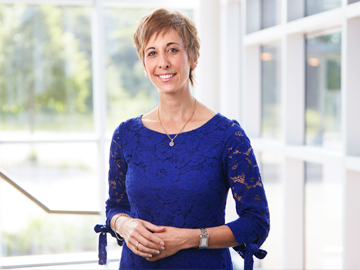 She remained in a leadership position with the organization for 34 years. 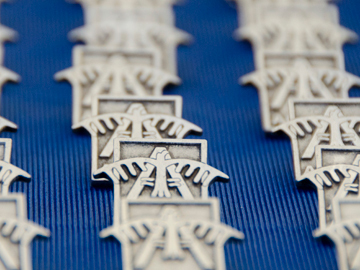 In 2005, Horn returned to the Shingwauk Indian School Residential School site – now the home of Algoma University – to enroll in the Bachelor of Fine Arts program. 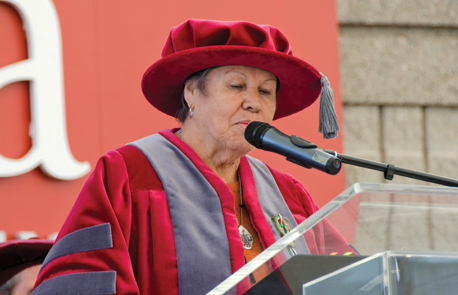 As a rare graduate of both the Residential School and the University, she received a standing ovation at Convocation in 2009. In 2015, she received the Alumni Achievement Award from the Algoma University Alumni Council. Horn has been Chief of her own community, the Missanabie Cree First Nation for 10 years, and has also been a member of the Missanabie Cree Elders’ Council. Horn is also Co-Founder of the Echoes of the World Drum Festival, a former member of the Shingwauk Education Trust (SET), and an accomplished artist. Her piece, Project of the Heart, is on permanent display outside of the Doc Brown Lounge at Algoma U. 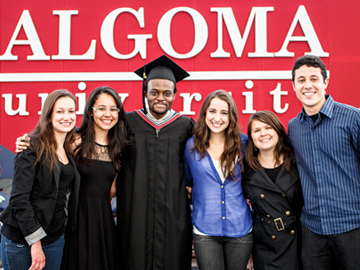 Get to know our president and her vision for Algoma U.